Back at the beginning of the twenty-first century, when I presented the Breakfast program on ABC Classic FM, we used to begin each session with the music of J. S. Bach. Our listeners cited it as a civilizing influence, and indeed the order and essential decency of Bach’s music made it a great way to start the day. There are a few other places that could do with the odd Prelude and Fugue (BWV 846-893) in the morning. Let’s start with Federal Parliament. There is a cacophony in the [Australian] national capital. Our political discourse is like some horrible contemporary work of crashing and snarls, shouting and cat calls; verbal abuse that wouldn’t be tolerated in a school debating competition, yet is witnessed every week in Canberra. We’re not anywhere near the amazing riots and brawls seen in the Taiwanese and Korean parliaments, with shoes flying through the air and elected representatives choking each other, but it will only be a matter of time before the Member for Warringah leaps across the chamber in his bike shorts and has to be restrained by the Treasurer. I blame both sides – and I fear for the Speaker’s health. Harry Jenkins looks like prime cardiac arrest material as he attempts to regulate the nasty kindergarten that is Parliament. 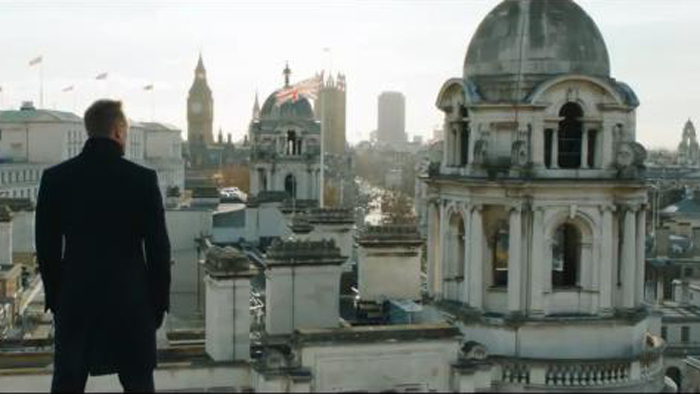 One day he might snap and turn into another dirtier Harry, waving six guns from the Speaker’s Chair – “go ahead, make my day!” I wouldn’t blame him. It wasn’t always thus. I remember going to have a look at Question Time during the Howard government. 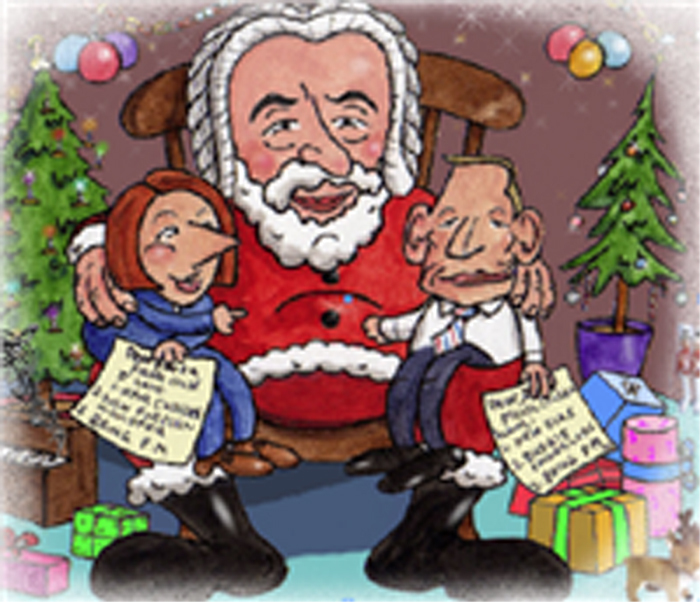 John Howard and the then Leader of the Opposition Kim Beazley walked into the chamber chatting, they stopped in front of the despatch boxes, finished their conversation with a laugh, then Howard thumped Beazley on the back and they went to their positions. The debate after was fierce, but at no point was it truly nasty. Even Keating at his most vitriolic delivered his barbs with a smile, with some sort of wit, not to mention knowledge of Mahler. But the leaders today have lost any sense of manners, decorum or indeed humor. It’s like cowering as a child in your bedroom, listening to your parents shouting in the kitchen. A pity there isn’t a House of Representatives Chamber Orchestra playing the Air on a G String (BWV 1068) in the background. Bach’s music always gives a sense of the bigger picture, and I fear perspective is what we’ve lost in the day-to-day minutiae of political battle. An example – my daughter’s recent school concert began with the national anthem, not only verse one but the little-sung verse two. For those who’ve come across the seas, we’ve boundless plains to share. The words stuck in my throat. It was one day after the non-vote on the Government’s offshore immigration processing bill. What a joke. We are a lucky country that has swapped the sheep’s back for the iron ore bucket, skirted the worst of the financial crisis, is the envy of the developed world, has low unemployment, low government debt, a national health care system, a compassionate welfare system, food in abundance, democracy, the rule of law, and nine professional orchestras. Yet many of us are grumpy, stressed, and convinced that the sky is about to fall. The coming holiday season brings two wonderful gifts: time to spend with family and a complete shutdown of the banal tittle-tattle that masquerades as political discourse in this country. Let’s put on a CD of Bach Preludes and Fugues and be thankful for both. Merry Christmas. For this year’s Make Music Winter, Jim Holt is back with another version of his subway piece Thru-Line, which New Yorker critic Alex Ross calls “deeply charming.” If you play violin, viola, accordion, or any other portable instrument, Make Music New York (MMNY) is still accepting participants: click here to join! What will G-train riders experience on 21 December 2012? If you are riding in the front car of any G-train (from any station) between 2-3pm, you will experience what might feel like an episode of the Twilight Zone. 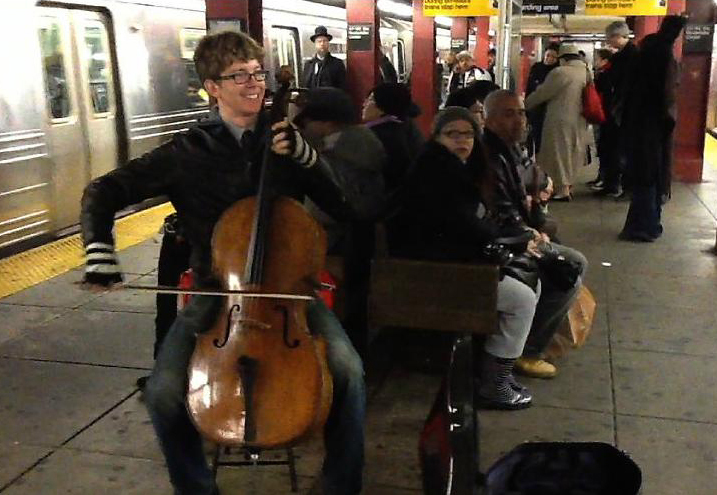 Imagine riding the train and suddenly a musician begins playing Bach; it’s not a big deal. But what if that musician stepped OFF the train at the next stop and a different musician stepped ON and began playing the same piece? And then this happens over and over again at every single station – one musician leaves, one arrives, always playing the same unforgettable music. One of the reasons I chose the F-line last year is because it went through Queens, Manhattan, and Brooklyn. We wanted to switch up the subway line this year but also wanted to keep Queens and Brooklyn in the mix. The G-line is one of the few lines that operates in both Queens and Brooklyn. This is actually a variation of a Make Music Winter project from last year, which I did with The Knights and MATA. In 2011 we had musicians performing this same Bach piece on nearly all of the Brooklyn-bound F-train stations. The idea was that the musicians would stay in place and the public would discover them at each station. This year we are flipping it – we will come to the public rather than the other way around. What will it be like from the musicians’ perspective? The musicians will need to be mobile in a way that they probably never have been before. Over the course of an hour, they’ll only travel the distance of five stations. They will be stepping on the train, playing Bach until the next station, then stepping off the train and waiting for the next one. What did the musicians last year think? The inclusion of Suzuki in an impressive group of honorees (among them: Gustav Leonhardt, Nicolaus Harnoncourt, and Ton Koopman) came as a surprise to no one, yet things were different in 1995, when Suzuki released the first volume of BCJ’s complete Bach cantatas. The Swedish independent label BIS made a disc, reportedly from a single recording session. 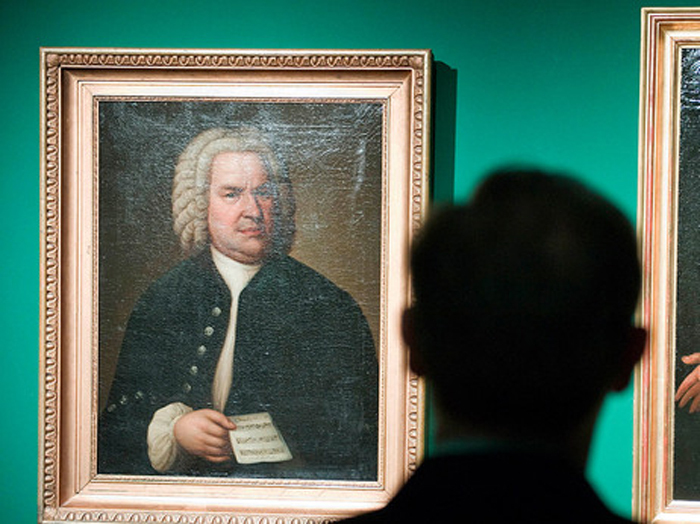 That new arrival on the international early-music scene was met with skepticism and even some latent hostility: How, listeners wondered, could someone from an ancient Eastern culture adequately comprehend Bach, the epitome of Western classical music? And the question “how dare he? !” hovered right below the surface. In an interview with Choir and Organ in 2005, Suzuki explained how the Japanese quickly developed an enormous appetite for all aspects of Western culture, especially music, once the country opened up to the West. From the early seventeenth century until late in the nineteenth, Japan was officially closed to the West, and only the Netherlands had limited access to it. After World War II, the interest in Western art music merely increased. 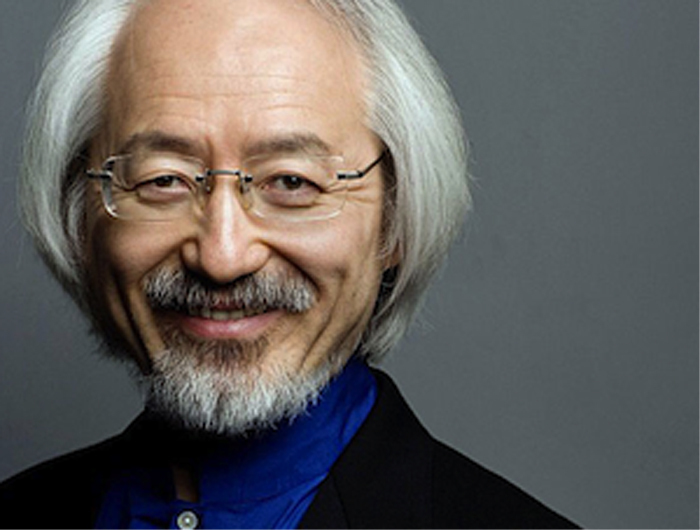 Niels Swinkels spoke with Masaaki Suzuki on his arrival in the Bay Area from Amsterdam, where he conducted a number of concerts with the Netherlands Radio Chamber Philharmonic and the Netherlands Radio Choir. Niels Swinkels (NS) In a recent YouTube interview for the Early Music Festival in Utrecht, you responded in perfect Dutch. Then I remembered that, after you graduated from Tokyo University of the Arts, you went to Amsterdam to study harpsichord with Ton Koopman and organ with Piet Kee. No wonder you speak the language so well! Masaaki Suzuki (MS) I studied in Amsterdam between 1979 and 1983, but during this last visit I realized that my Dutch is not really sufficient anymore [switches to excellent Dutch]. My Dutch is good enough for everyday use, but not good enough for an interview about music [laughs]. NS You are in San Francisco for a series of concerts with Philharmonia Baroque Orchestra, a Bach Christmas program, and two performances of Messiah. Is this your first time with Philharmonia Baroque? MS Yes, this is the very first time. I have been in Berkeley twice, with my own ensemble. The first time was in 2003 with the whole group – choir and orchestra – and the second time was 2006 or 2007, with a kind of chamber ensemble. I haven’t been here since, so that is quite a long time. NS You probably already know some of the musicians in Philharmonia Baroque? MS Well, actually, yes, I have worked with several of them already. And all the vocal soloists are alumni from the Schola Cantorum at Yale. I picked them myself. 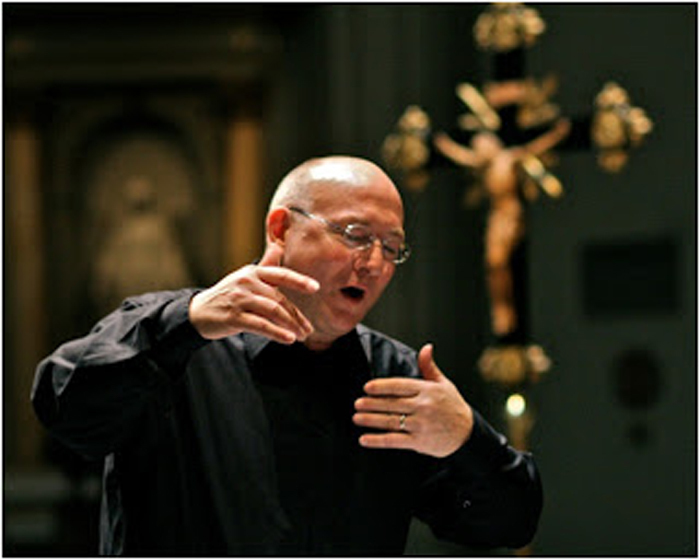 NS At Yale University, you are visiting professor of choral conducting and conductor of the Schola Cantorum. How long have you held that position? MS I was there in October and this was my third year. I go there every spring and autumn for a few weeks. We do at least one big project, in addition to smaller things like chamber music and so on. Every year, we do a program together with the Juilliard Baroque Orchestra, and every other year we do an international tour. We were in Italy last year, and next year we go to Japan and Singapore. I am very thrilled about that. NS Your parents were both amateur musicians, and Christians. How has your Christian background influenced your perception of Western music in general and Bach’s music in particular? MS Without this background I probably wouldn’t have come to this field at all. When I was in middle school, I started playing the organ every Sunday during worship. 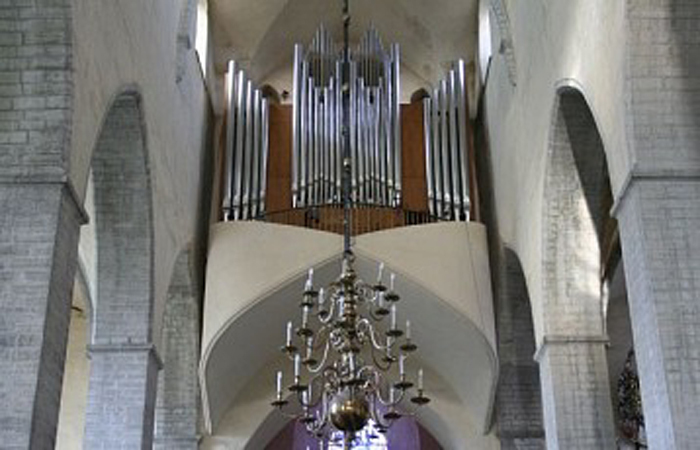 I enjoyed it very much, and tried to play all of Bach’s organ works, but the organ was actually only a small, pedal-pumped harmonium; it was impossible to play Bach on that. So I decided that I had to play a real organ, and took lessons in high school. My first teacher was a Belgian Catholic priest who was also a musicologist, specializing in fifteenth and sixteenth-century polyphonic music. I wouldn’t have started this without my religious background. I have always felt a familiarity with Christian music and culture, and not only the worship. I can’t say that I am very religious, but I believe in God. I believe in the power of music, and especially in Bach’s sacred works. NS I have heard you talk about the consoling, nourishing power of music. MS In Japan, so many people have been hurt by disasters like tsunamis and earthquakes. They were really consoled by the music and the text translations of the Bach cantatas. 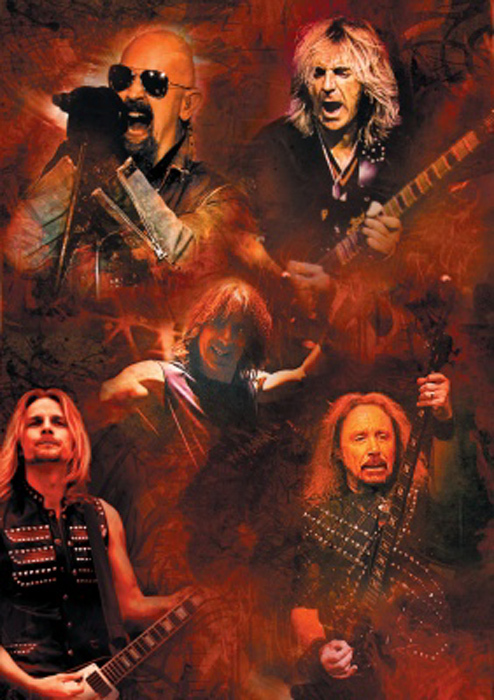 Quite ironically, right before we started recording in 1995, we had a big earthquake in Kobe. Following the disaster, the chapel in which we were recording [at Kobe University] was one of the few concert venues in which you could still perform. All the other concert halls in Kobe city were either damaged or used for storage of dead bodies. We postponed the project, of course, but in the meantime we had a couple of charity concerts for the victims of the earthquake. Many people told us how the music spoke to them. I believe in the power of music, and especially in Bach’s sacred works. This kind of suffering hasn’t changed since Bach’s time. In the eighteenth century death was probably closer to everyday life; Bach had twenty children but only a few made it to adulthood. Death was much more normal in those days, but people’s feelings about the death of a family member or a friend haven’t changed. NS Can you explain Bach’s universal appeal? MS When you perform German cantatas in German, it is not easy for any kind of foreign audience. In Asian countries like Japan, even English doesn’t work so well. European languages are very difficult for our audience, but we can provide a Japanese translation to the audience members and then we get a chance to talk and think about the context of the text. Bach’s music helps a lot. Sometimes you can understand the context of a cantata without knowing the text itself, because the music is so powerful. NS What is your part in the appreciation of Bach in Japan? MS We have given Japanese audiences the opportunity to hear live Bach performances. There are many people in Japan who have listened to LPs and CDs for a long time. I have had many reactions and letters from older people who are really fond of Bach’s music – people who have been listening to this or that recording for fifty years but still didn’t have the opportunity to experience a live, professional performance of a Bach cantata. There used to be only amateur choirs and ensembles playing this repertoire. We were the first professional ensemble to really concentrate on Bach. NS How far along are you with your cantata project? MS Volume 52 has just been released, and we actually have only one more project recording. Volume 54 has already been recorded, and volume 55 will be the last one of the church cantatas, which makes me a little sad. We will just keep going with the secular cantatas for a couple of years, and in between we will also do Lutheran masses. We will, of course, continue with live performances. NS Can you compare your own Bach cantata project with others, such as Gustav Leonhardt and Nicolaus Harnoncourt, who in 1971 started recording the first complete cycle of Bach cantatas on period instruments? MS The Harnoncourt and Leonhardt recordings were sort of my starting point. They were very important to me. For them, it was much more difficult to do the cantatas than for us; they didn’t have new Bach editions or new research and so on. They actually developed and discovered a lot of things during their projects. It actually took us the same number of years to record the cantatas – about eighteen years. Of course, once you are finished, you always want to start again, but then you would need another eighteen years. My friend and mentor, Isaiah Sheffer, died earlier this month [November] at age 76. He was a quintessential New Yorker, the founder of Symphony Space on the Upper West Side. Manhattan is a continent away from Seattle, but Sheffer had a big role to play out here as well. 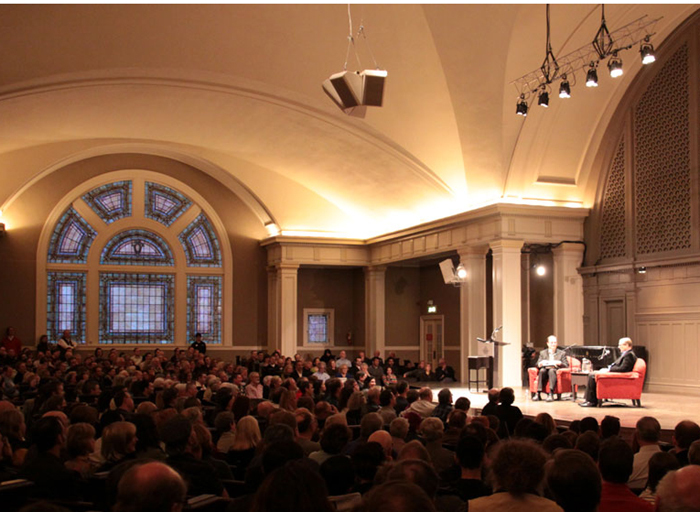 The Sheffer connection was Town Hall Seattle, which I helped get started in 1999 and ran in its early years. I didn’t really know what I was doing, which is where Isaiah came to my rescue. Town Hall is a huge Seattle success story today, thanks to its fine building, a great location, marvelous staff, and the skill, dedication and vision of my successor, Wier Harman. And thanks to Isaiah Sheffer. Symphony Space is one of those only-in-New-York institutions, which Sheffer and filmmaker Allan Miller founded in 1978. Sheffer had enjoyed what the New York Times obituary called “an exuberantly varied theatrical career” as a playwright (Yiddish comedy), director and impresario. In early 1978 he spotted a neighborhood eyesore at 95th and Broadway that had struggled as a movie theater, ice-skating rink, and boxing arena. Rent was very low, and the owners were eager to unload the grimy place. Town Hall Seattle got started as an idea in the late 1980s, and the original impetus was to find a mid-sized performance space for the numerous “homeless” music groups, none of which could afford to build or own a space on their own. Our doughty band (Early Music Guild, Northwest Chamber Orchestra, Ladies Musical Club, Seattle Camerata, Earshot Jazz) first tried to raise the money to save and convert the old sanctuary of Temple de Hirsch Sinai on E. Union St. That didn’t succeed, but our next try did: the handsome old Fourth Church of Christ Scientist at 8th and Seneca on First Hill, which reluctantly came on the market and sold to our group after eight years of wary negotiations and with a big boost from Historic Seattle. We opened for the first performances in the spring of 1999. I knew of two possible models for the multi-disciplinary venue we were creating – part rentals and part our own productions. One was The Sheldon in St. Louis, a similarly-configured building that had been an Ethical Culture Society church. Michael Killoren, who later moved to Seattle and headed the Office of Arts and Cultural Affairs for the city, was working there and I remember his valuable advice by phone: reach out to the many smaller groups in the region, particularly ethnic organizations. The other model was a famous one, the 92nd St. Y in Manhattan’s Upper East Side, which anchors a Jewish and German neighborhood as a YMHA and as a venue for a legendary series of classical concerts (Gerard Schwarz conducted his Y Chamber Symphony there), poetry readings, and author-based events and lectures. In visiting the Y, and also New York’s The Town Hall (founded by suffragists to mix music with the cause), I soon learned about their less-famous cousin, Symphony Space. Isaiah was from the Bronx and grew up in Greenwich Village, so he got along great with our program director Spider Kedelsky, from Brooklyn. Both had a great sense of show-biz and fun and what-the-hell-let’s-do-it. Sure enough, we also stole the Wall-to-Wall idea, doing “Bach Around the Clock” and other musical marathons. That first Bach marathon, free all day, with its hilarious Bach “Coffee Cantata” [Schweigt stille, plaudert nicht, BWV 211] turned into a short opera set in a Starbucks and directed by Theodore Deacon, remains my warmest memory of my eight years at Town Hall. Where Town Hall diverged from the New York model was how it came to reflect Seattle’s remarkable love affair with authors and with civic topics. Symphony Space, now greatly upgraded after some epic New York real-estate wars and maybe a little spiffier than Isaiah really liked, has stayed with the arts almost exclusively, particularly classical music, world music, literary events, and actor-centered programs. Few of the original Seattle musical organizations survived or stayed with Town Hall, though the marvelous Early Music Guild is happily ensconsed, and Town Hall has Town Music, a modern-tinged classical series produced by cellist Joshua Roman. It has an amazing lineup of speakers and authors, connecting the city almost each night with the broader world of public affairs, science, and ideas. And, true to Isaiah’s lessons, the ticket prices are still very, very low. One of the lessons from Isaiah and from Town Hall’s experience is how much cities need mid-sized facilities and organizations. Town Hall, like Symphony Space, was meant to be a mid-sized auditorium (about eight hundred seats, plus a smaller Downstairs at Town Hall with two hundred fifty seats) that was available, flexible, bookable well in advance, and affordable. Most cities, and this is especially true of Seattle, neglect this part of the spectrum, jumping quickly from grass-roots small groups to the big leagues. Mid-size is where audiences can affordably test out new experiences, and where artists can grow and keep experimenting. I like them also because of their intimacy. Seattle is a mid-sized, a right-sized city, so it needs more such venues. A second lesson is that cities need intellectual stimulation that originates from outside of universities. It is said of New York that it has two intellectual centers: Columbia University and Greenwich Village. The academy has an unhealthy monopoly on our culture these days, employing poets, dominating scholarship, keeping string quartets alive. That other node, the Greenwich Village node, speaks to a larger audience, is more politically engaged, and has more fun. A city such as Seattle, a small place with a huge university, has a special need for these antidotes. The final lesson is that these places anchor and create a strong sense of community. Symphony Space is surrounded with a wonderful community, and they clasp the Space to their civic bosom. “I have the pleasure in Fairway market of having someone lean over the onions and say, ‘Loved your Mongolian dance concert,’” Sheffer would say. Seattle’s First Hill, huddling under those huge hospitals, has much less of this natural sense of community, though Town Hall is now inspiring apartments and retirement homes to be built nearby, filled with residents who can take regular nourishment at its space. Still, it manages to create a very warm sense of Seattle community at many events, helped by the cozy pews, the spacious lobbies, the bargain prices, the reliably liberal vibes, the youngish crowds, and the rigorous informality of dress and manner. Dear Isaiah, you were my really good popcorn. If Pacific MusicWorks [PMW] ever does a concert at St. James Cathedral, just go. Don’t even stop to look at what’s on the program. Actually, see them anywhere. And actually, do look at the program, because it’s bound to be brilliant. The program for Saturday night’s concert [on 1 December 2012], the second in PMW’s current season, was called “Angels and Shepherds,” but it might have been called “Bach and Before.” This intriguing collection of cantatas and other music for Advent and Christmas gave us not only some of the best of J. S. Bach, but some enlightening context from his predecessors in German Baroque music. One benefit of playing in the Seattle cathedral is that it is similar to the setting (acoustically, visually, spiritually) that Bach’s audience experienced when this music was first performed. Another benefit is that it proves one of the more delightful theories of early-music performance in practice today: that these works were played with relatively small ensembles, even the chorale sections of the cantatas. A dozen instrumentalists and a quartet of singers produce plenty of sound in this lively space, and it is a more pleasingly shaped sound than the blast of a large choir and orchestra. This was demonstrated in the first chorus of the opening work, the cantata Nun komm, der Heiden Heiland (BWV 61), written by Bach for the first Sunday in Advent (which would, appropriately, start a few hours after this concert). With music director Stephen Stubbs conducting, mostly from the lutenist’s chair, the quartet of soprano Yulia Van Doren, alto Laura Pudwell, tenor Colin Balzer, and baritone Jesse Blumberg filled the air with auditory wonder, supported by the brilliant collection of instrumentalists. This cantata and the concluding one on the program, Schwingt freudig euch empor (BWV 36), also written for Advent, acted as large bookends of Bach, with the middle filled mostly with delights from earlier years. The first of those gems was a setting of Wachet auf, ruft uns die Stimme (“Sleepers Awake”) by Franz Tunder for soprano and instruments. If you had just heard it on the radio, you would think this was from Bach himself. The second half of the program began with settings of famous carols by Michael Praetorius, including In dulci jubilo (“In Sweet Rejoicing”) and Es ist ein Ros entsprungen (“Lo, How a Rose E’er Blooming”) and concluded with the Bach cantata (BWV 36), which featured a delicate duet with Van Doren and violinist Tekla Cunningham. The final chorale Lob sei Gott put a hearty harmonic exclamation point on the entire affair, and launched us into the new liturgical season. Special mention must go to baroque oboists Debra Nagy and Curtis Foster, who brought to life the brilliantly introverted charm of these instruments in several pieces. Bach is better than Judas Priest, Strauss is preferable to Slayer, and Mozart is a wiser choice than Motörhead – at least when it comes to keeping dogs calm in kennels and shelters. A Colorado State University study suggests classical music might be the best way to calm an anxious dog, and that heavy metal – no big surprise – seems to do the opposite. The study, reported in the latest Journal of Veterinary Behavior, found that classical music was more soothing than any other music, even “psychoacoustic” music and pet CDs designed to calm animals. Dogs listening to classical music – whether they were rescued dogs being sheltered, or pets being kenneled – barked and shook less often, slept more and had slower heartbeats. The authors of the study say playing classical music may help mitigate some of the stress inherent for dogs being kenneled as well as those awaiting adoption in stressful shelter environments. Their research analyzed the behavior of one hundred seventeen dogs of various breeds, all at one kennel in northern Colorado. Of the group, eighty-three were boarders of different breeds and thirty-four were rescued dachshunds. Lead author Lori Kogan and her researchers did thousands of behavioral assessments over a period of four months. The dogs were exposed to forty-five minutes of three different genres of music while their behavior was recorded every five minutes. Classical music was linked to more relaxed and restful behavior, while heavy metal was linked to greater anxiety and unrest. Dogs listening to heavy metal had speeded up heartbeats: Motörhead’s Ace of Spades led to 140 beats a minute, while Turbo Lover, by Judas Priest, resulted in 151. In contrast to that, Beethoven’s Für Elise produced average heart rates of 111 and Bach’s Air on a G String (BWV 1068) a relatively mellowed-out 100.